"Know and apply grade-level phonics and word analysis skills in decoding words." Our Take:As fifth graders learn new vocabulary, they should begin to form strategies for sounding out and spelling words correctly on their own. This is a general language skill that can be slowly improved with continued reading and writing practise. 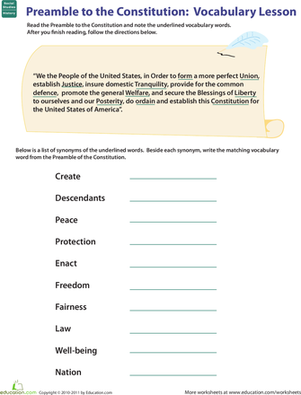 Give your 5th grader's vocabulary a boost with help from the Preamble to the Constitution. 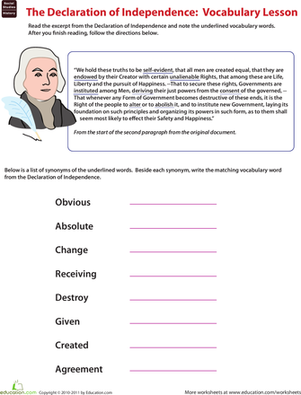 This worksheet packs vocab and history practise all in one. 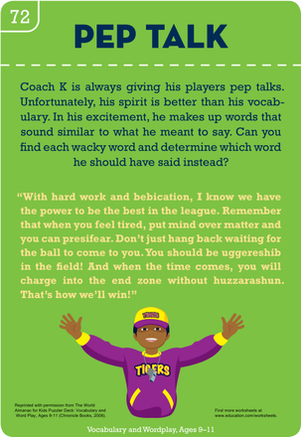 Looking for a worksheet that can help your kid's vocabulary skills? This printable will help practise his vocabulary. 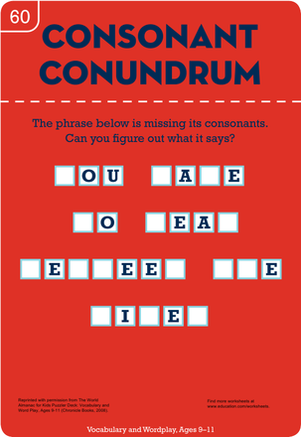 Help your child fill in the blanks with this fun worksheet, which challenges your child to find the missing consonants to complete the sentence. Celebrate Black History Month by studying the contributions of African-American jazz legend Charlie Parker! Introduce your budding musician to an African-American jazz legend, Charles Mingus! She'll read his mini-bio and answer a few trivia questions. No plans found for this common core node.